While many may recognize the man on the right as Coach Wayne Jamison, for those recognizing the other two men feel free to provide information on the them and any personal memories below. 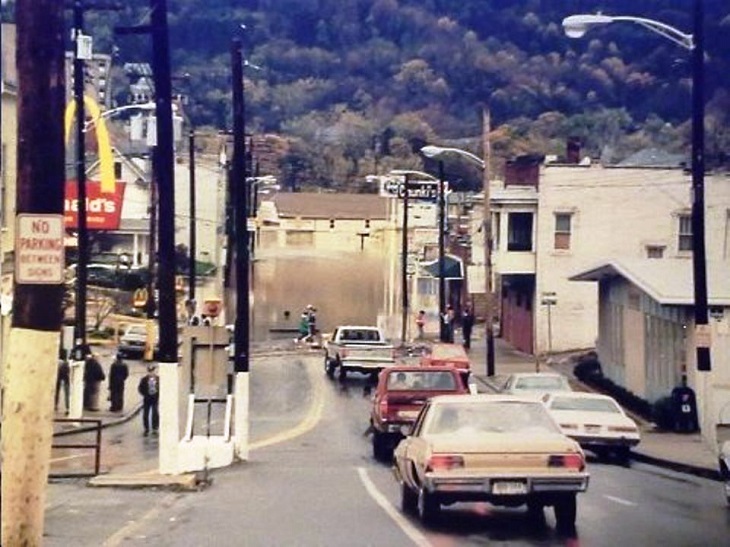 This is a scene from the 1985 flood that ravaged large parts of West Virginia. This is at the intersection of Main and Pike Streets in Clarksburg where flood waters reached in one of the worst floods in the area in modern history. ...picture No. 1, Tom Brown, teacher and involved in athletics or "athaletics" as Randy Thornton used to say. 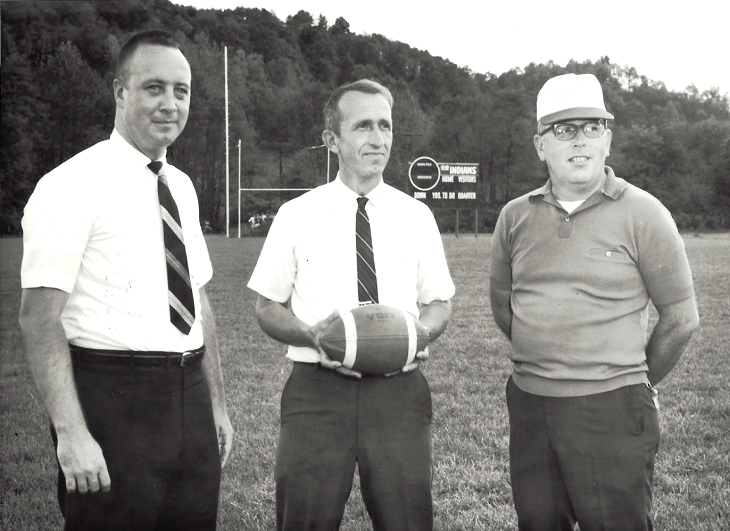 Ed Carder, teacher, football coach at least in 1970 1971 ?? Good ole' Coach Jamison. ...picture No. 2, I lived in that end of town down on Washburn Street. Came out to come to work the morning of the flood and couldn't get out. Started out through Adamston and water was up over the road at the old carwash that is still there. That's a long way up to the bottom of the bridge there and it was covered with water. Turned around to come out this way and well as you can see. Couldn't get past WBOY.